I have been researching and writing about the life of Charles Young since I first read of his accomplishments in 1996 while serving as a historian at the Defense Intelligence Agency. I've been hot on his trail since, publishing Black Cadet in a White Bastion: Charles Young at West Point in 2006 and Black Officer in a Buffalo Soldier Regiment: The Military Career of Charles Young in 2010, and African American Officers in Liberia: A Pestiferous Rotation, 1910-1942 in 2018, all by the University of Nebraska Press. I recently broadened my research and writing with “Buffalo Soldiers on the Western Frontier: 1866-1890” which appeared in the Routledge Handbook of U.S. Diplomatic and Military History Since 1865 published in June 2013. I also wrote "Buffalo Soldiers in Africa: African American Officers in Liberia, 1910-1942" for the Routledge History of Race in the American Military published in 2016. I finally, I published at article in the July 2018 Journal of Military History titled "African American Officers in Liberia, 1910-1942." The past two years have very busy and gratifying for me in terms of opportunities resulting from my research and writing. I spoke about Charles Young and the Buffalo Soldiers at several venues and worked on several very exciting history projects. I worked with Frank Simkonis of Kentucky Educational TV on a segment on Charles Young for the program "Kentucky Life." The program aired in February 2017. I presented a paper titled "The Americo-Liberian and Indigenous View: African American Officers in Liberia, 1910-1942 at the Society for Military History Conference in Louisville, Kentucky in April 2018. I was invited in August 2018 by the National Park Service to present a talk at the Klondike Gold Rush National Historical Park in Skagway, Alaska about the experiences of Company L, Twenty-Fourth Infantry that was stationed in that city from 1899 to 1902. Finally, I worked with Dr. Carolyn Mazloomi and the Women of Color Quilters Network (WCQN) and thirty of her artists who are creating quilts that tell the story of Charles Young. This show will open at the National Afro-American Museum and Cultural Center in Wilberforce, Ohio on March 16, 2019. You will find more details on these and others in the Events section of this webpage. 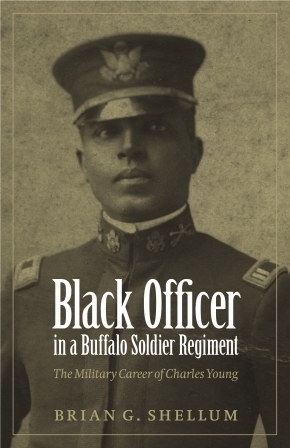 I look forward to many more adventures riding with Charles Young and the Buffalo Soldiers! The story of African American Officers who served in Liberia, 1910-1942. Military Career of Charles Young, pointman for his race in the U.S. Army. 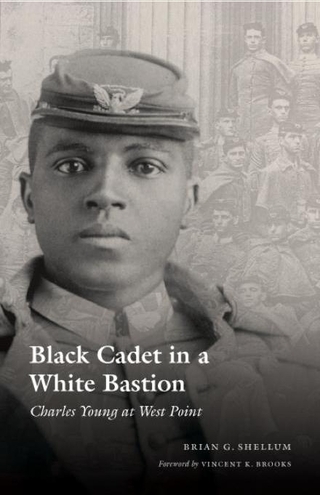 The early life and Academy experiences of Charles Young, the third black West Point graduate. The declassified documents and commentary that trace the establishment of the Defense Intelligence Agency from 1961 to 1965. A concise chronology of the defense intelligence support before and during the First Gulf War from 1990-1991.